Discover. Share. Lead. This was this years� theme for the International Meeting on Simulation in Healthcare (IMSH), which was held at the San Diego Convention Center in San Diego, California. Several WISER staff members attended this conference which had a record attendance of over 2,500 healthcare simulation professionals and exhibitors. IMSH is the world�s largest healthcare simulation meeting. Professionals from around the globe travel to this conference yearly to discover what simulation has in store for the future, to share in others education and academic experiences, and to lead others into the world of simulation. IMSH kicked off on Saturday, January 16th and closed on Wednesday, January 20th. WISER staff members and several WISER instructors attended many of the 300 educational sessions which included workshops, podium presentations, debates and expert panels. IMSH is a great networking opportunity for everyone involved in simulation. 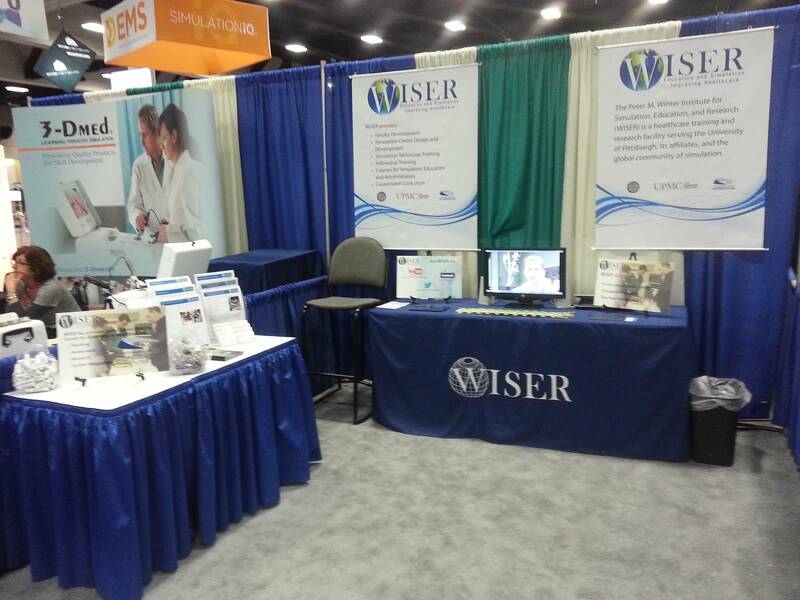 IMSH also gives WISER an opportunity to showcase its featured courses in the Exhibitor Hall. Courses such as iSIM-Improving Simulation Instructional Methods, the WISER Fellowship Program and the WISER Professional Development Program were among the courses that participants were highly interested in learning about and attending in the future. Several former Preceptors and fellows stopped by to say hello and find out what was new at WISER. WISER looks forward to IMSH 2017 which will be held in Orlando, Florida from January 28 to February 1, 2017! 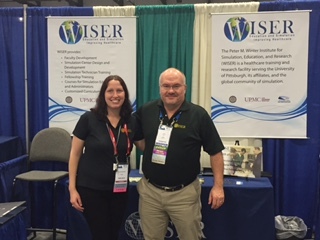 WISER booth #628 at the San Diego Convention Center. WISER Course Scheduler Jen Sinclair and Director of Information Technology John Lutz answered participant questions at the WISER booth. 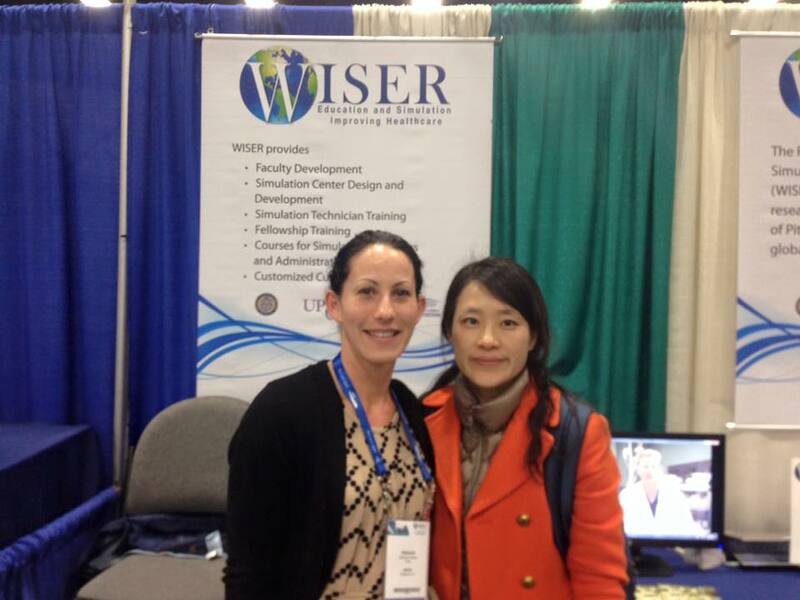 Former WISER Fellow, Dr. Su Jin Kim, from Korea University Medical Center with WISER Director of Educational Development Debby Farkas.